Mission Border Street Name Sign Lawn Mount - - includes two lawn stakes. Large 16.5"W x 11"H personalized sign. Lawn mount. Made in USA. 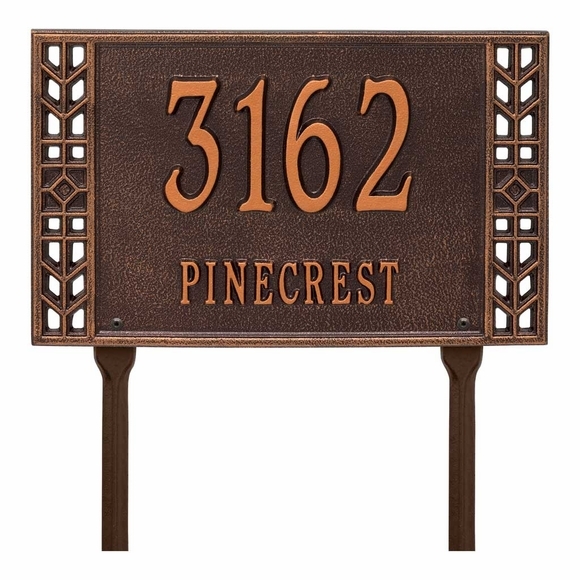 To purchase a Wall Mount Mission Style Border Sign, click top link in Related Products.